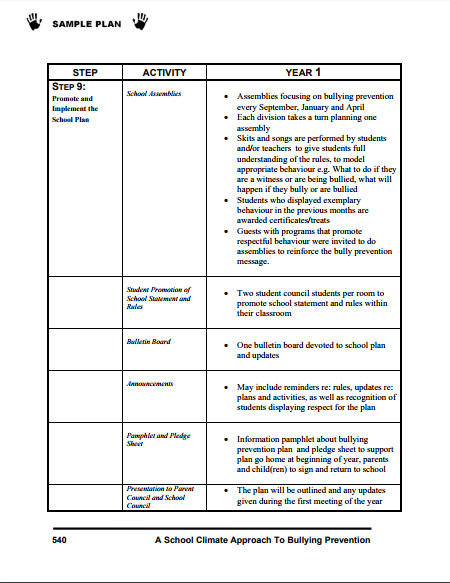 There must be a response to every reported incidence of bullying in order for students to trust that something will be done if they report bullying. 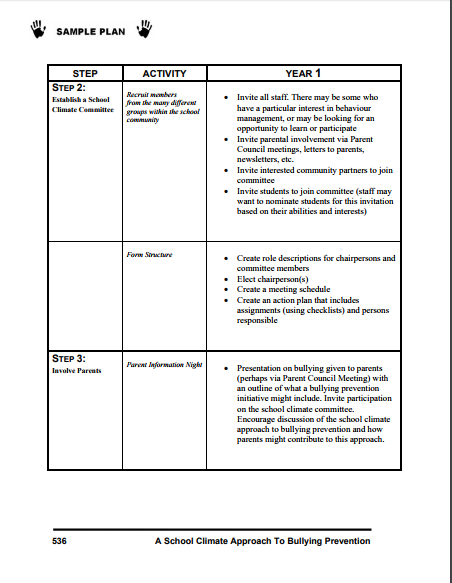 Intervention clearly demonstrates the seriousness with which the school approaches bullying. Common phrases and vocabulary will foster a better understanding of, and consequently a greater identification of, bullying. The single most effective deterrent to bullying is adult authority and supervision. 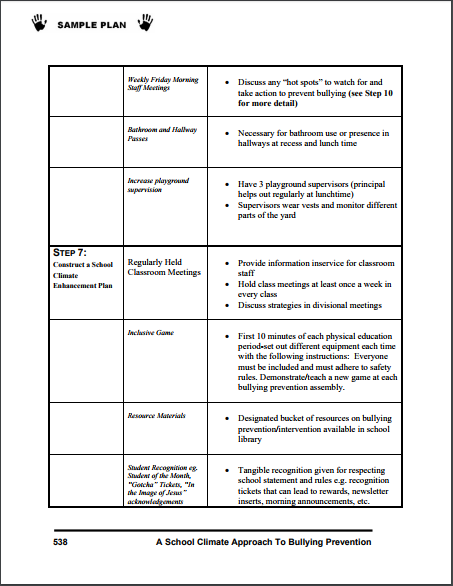 The most basic prerequisite to an effective response to bully at school is staff awareness of bully incidents. 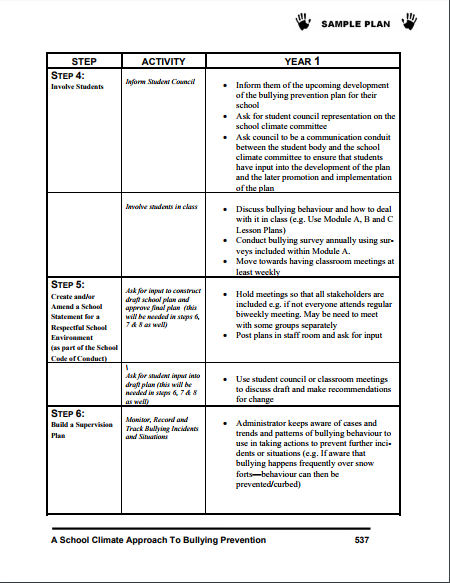 Communication in the school involves recording incidents of bullying on standardized paperwork, monitoring the paperwork for patterns, and communicating this information to the staff. 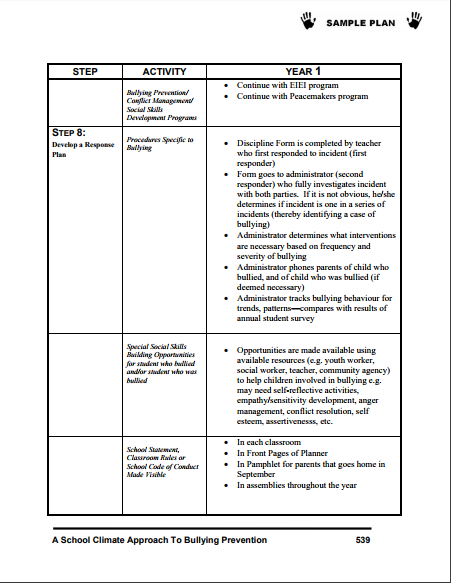 Provide opportunities for students to learn social skills, conflict resolution, problem solving, and prosocial activities – i.e. teach games, start clubs. 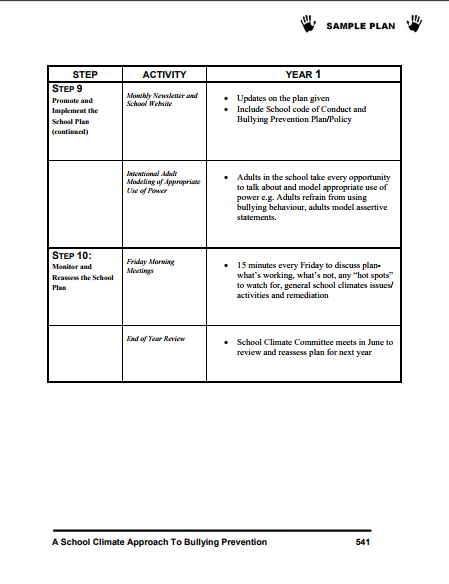 NOTE: Taken from “Imagine … A School Without Bullying: A School Climate Approach to Bullying Prevention” by the Waterloo District School Board, Waterloo Public Health, and the Waterloo Catholic District School Board. 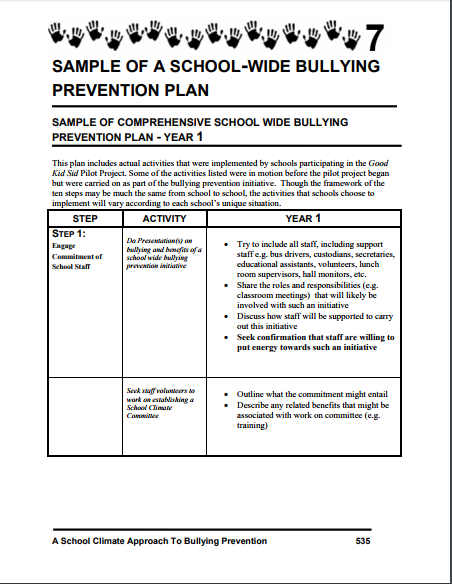 It includes the latest research regarding bullying prevention and examples from the lessons learned from the 3 year pilot project “Good Kid Sid”.